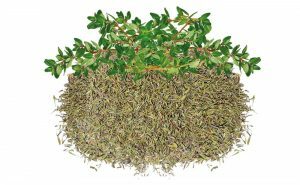 Organic Dried Tyhme Leaves – HERMES TARIM LTD.
Thymus vulgaris is a commonly used culinary herb. It also has medicinal uses. Common thyme is a Mediterranean perennial which is best suited to well-drained soils and enjoys full sun. Thyme is widely cultivated for its strong flavor, which is due to its content of thymol. Thyme is best cultivated in a hot, sunny location with well-drained soil. It is generally planted in the spring, and thereafter grows as a perennial. It can be propagated by seed, cuttings, or by dividing rooted sections of the plant. It tolerates drought well. The plants can take deep freezes and are found growing wild on mountain highlands. Thyme is often used to flavor meats, soups and stews. It has a particular affinity to and is often used as a primary flavor with lamb, tomatoes and eggs. Thyme, while flavorful, does not overpower and blends well with other herbs and spices. In some Levantine countries, and Assyrian, the condiment za’atar (Arabic for thyme) contains thyme as a vital ingredient. It is a common component of the bouquet garni, and of herbes de Provence. A tea made by infusing the herb in water can be used for coughs and bronchitis. Medicinally, thyme is used for respiratory infections in the form of a tincture, tisane, salve, syrup, or by steam inhalation. Because it is antiseptic, thyme boiled in water and cooled is very effective against inflammation of the throat when gargled three times a day, with the inflammation normally disappearing in two to five days. The thymol and other volatile components in the leaf glands are excreted via the lungs, being highly lipid-soluble, where they reduce the viscosity of the mucus and exert their antimicrobial action. Other infections and wounds can be dripped with thyme that has been boiled in water and cooled. 10 kg in Kraft Paper Bag.